ICBC is a financial dumpster fire. I know because I was there. Working from the company’s headquarters in North Vancouver, I witnessed the corporation sustain a 10-year period where basic rates increased by just 0.8 percent on average each year, before abruptly nosediving in 2012. I left four years later when the white smoke turned acrid. In Victoria, the NDP government has placed fault with the prior Liberal government (the “Homer Simpson Defence.”) It claims the transfer of $1.2 billion from ICBC to the province from 2010 to 2016 resulted in the current circumstance. But for the plunder, the NDP maintain that the shibboleth of the 1972 government of Dave Barret would continue to provide motorists with a sound public service. Liberal leader Andrew Wilkinson, meanwhile, has called for a complete overhaul – all but privatization. Some commentators have predicted this will be the next election issue. If that happens, the public, not just motorists, will lose, because both parties and their loyal cadres will suspend critical thinking. What we need instead is a careful reexamination of the circumstances that brought ICBC into existence, and the intervening changes that have resulted in its current difficulties. If this examination is done, a middle course might be found. More importantly, an examination could provide a template for how public institutions and policies are reconsidered generationally; either renewed or condemned without fanfare or malice. The Liberals transfers from ICBC to the province were wrong. These transfers funded public services, but also obscured the province’s finances at the expense of the corporation. Can this be really be described as sucking the “life blood out of ICBC,” as one MLA has described? No. To be sure, $1.2 billion is a lot of money, but at the time, ICBC had more than $11 billion in investment assets. The amount taken each year was about twice what ICBC spent on outside counsel each year. Elsewhere, ICBC spends $1 billion on vehicle repairs and total losses. There’s $800 million paying for people to answer the phones and other operations, but the biggest cost is personal injury, which, during the period in question, was about $1.7 billion per year. With enough rate increases, ICBC will inevitably stabilize. The bad news is that more bad news will continue. Increasing costs and resulting rate increases is not something that can be easily remedied by a change in government, policy, or the perfect wisdom of ICBC managers. There are also no silver bullet technology solutions. I came to ICBC in 2010 after previously working in major procurement roles, and as a collision industry consultant to Ford and Nissan in the United States. I called on all the major automotive manufacturers and insurers, attended all the trade conferences, and visited hundreds of repairers from California to the Carolinas. None of this experience impressed my coworkers, nor was it known to ICBC at the time I was brought aboard. I was hired instead to assist in the purchase and implementation of the company’s next generation software. In the past 50 years, ICBC has not been buffeted by fickle consumer tastes, nor has it had to add new products or materially change its products. ICBC hasn’t had to satisfy the pecuniary interests of shareholders, or respond to complex labour or skills shortages. ICBC has enjoyed a stable workforce. But, as Charles Darwin famously concluded: ‘it’s not the strongest or most fit that survive, but those creatures that are most adaptive’. ICBC is many things – some positive, in my view — but it is not easily changed. That’s why in 2012, the corporation bought $10 million in industry-leading software. This software was based on industry best practices, but nevertheless customized for an amount greater than $20 million. It’s also very introspective. 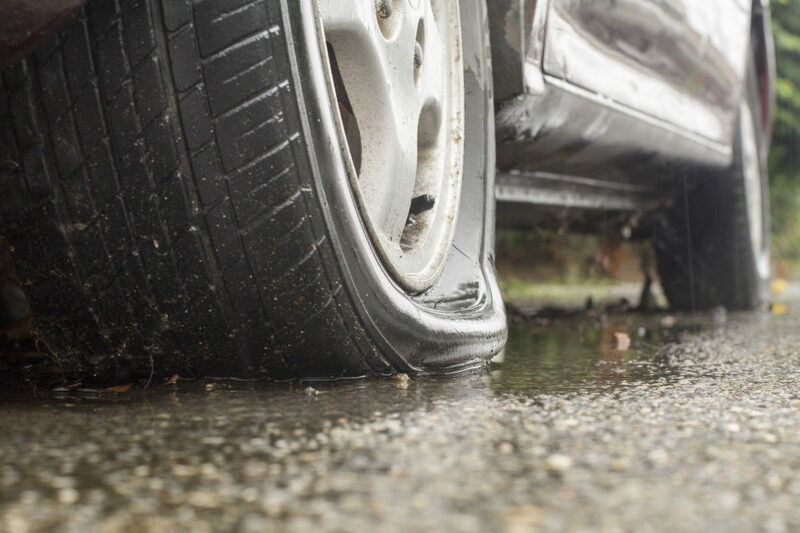 That’s why when Vancouver hosted the country’s largest collision industry conference featuring repairers and insurers from across Canada in 2015, ICBC failed to register a single attendee. ICBC has progressively become a kind of insurance time capsule. In the early years, this maladaptive way didn’t matter. Auto insurance was standardized, inexperienced drivers received subsidized rates, and claims were settled fairly. The public perception was generally positive. Body shops competed for repairs by writing estimates; claimants could have their vehicle repaired at all but the most expensive of three estimates. For more severely damaged vehicles, ICBC would prepare estimates by referencing parts, prices, and repair times in large publications. In short, things pretty much remained unchanged. As time passed, the insurance and repair industries changed, and consumer experiences and attitudes were also transformed. In the early 1990s, collision-estimating systems were developed, widely adopted by repairers and insurers across North America. With these tools, auto parts were effectively standardized between repairers. Shops were distinguished on the hourly rate alone. This feature appealed to insurers who quickly took a page from health management organizations, creating an insurer-accredited network of repairers who would agree to work at desirable rates in exchange for a steady stream of insurer referrals. It worked brilliantly. ICBC adopted collision estimating systems as well. It also parroted the direct repair concept insofar as it created a network of accredited repair facilities (CAR shops). But it avoided negotiating rates with individual repairers and directing repairs to lower-cost shops. Instead, it found it convenient to recognize and haggle with trade associations, and to create rates common to all accredited repairers. Nowadays, ICBC imposes a price, usually the product of discrete conversations. Imposing a price is tricky. If set too high, it encourages upstream inefficacies – shops will pay employees too much, rent extra space, purchase unnecessary equipment. Worse, it entices additional market entrants, dividing the collision repair pie even more thinly. On the other hand, if ICBC imposes a too-low price, repairers may be driven out of business. This balancing act is especially difficult in British Columbia, where geography and population density create unique market conditions in many places. To avoid this, ICBC and its public insurance peers in Saskatchewan and Manitoba must pay a premium above what they would have to pay in other circumstances. This is why they are the three most costly places to have a repair performed in North America. In fact, the compensation is even higher. In non-public jurisdictions, insurers commonly receive a discount on parts used in repairs (5-10%), but public insurers don’t do this. Repairers in public insurance jurisdictions also don’t have to have deal with a dozen or more insurers – all with different claims management processes, different forms or information systems. This creates an administrative efficiency, but motorists don’t realize the benefit. Concurrent with the use of collision estimating systems and repairer-led referral networks, auto insurance became a miserable product. Consumers elsewhere effortlessly compare prices online and there’s little loyalty. Because vehicle insurance is the first insurance product most people purchase, the logic follows, it allows insurers to develop familiarity with consumers, and with it, the opportunity in time to sell other products that are more differentiated, and therefore more profitable. Auto insurance is like a loss-leader. In different circumstances, ICBC would have been unshackled long ago. This freedom would have created new casualty and property products, and the corporation would have expanded to other provinces. The marginal cost versus marginal revenue calculus would have compelled it. Instead, today ICBC sustains huge fixed costs to support a product that other insurers ceased to consider lucrative a quarter century ago – for a vehicle population of just 3 million. In 1975, motorists in BC had no easy means to discover the price of insurance in competing jurisdictions. Many places allow low-quality policies that are stingily paid out, and others have imposed statutory limits or even disallowed remedies for losses. ICBC continues to offer comparatively robust policies, and until recently, there’s been no attempt to limit access to legal remedies. The result is that auto insurance products aren’t directly comparable between provinces. Policies in other jurisdictions are cheap, but limited, and injury costs are absorbed by the public healthcare and not motorists. If ICBC could retroactively offer insurance and subsist in the same regulatory environment as Quebec, its past “losses” would be paired, but the provincial treasury would take a hit. That’s not likely to happen in the future. What then? ICBC’s major stakeholders include motorists, but also brokers that sell the policies, lawyers who make and defend claims, vehicle repairers, non-repair suppliers, and its professional and bargaining unit employees. The interests of these stakeholders are in conflict; they all want more money and that impacts the price of insurance. ICBC has to regulate these conflicting interests. Each has political influence, and they all have the ear of the ICBC’s largest stakeholder: the provincial government. In addition to ICBC’s inability to adapt is a fear of consequences for any action. The corporation sells products through a network of Autoplan brokers. To be sure, the “cost of distribution” for the brokers is low – but it could be even lower. Many motorists could effortlessly renew insurance on the Internet. But when ICBC commenced replacement of the software responsible for insurance sales in 2011, this option was specifically avoided to prevent rancour from brokers. Motorists lost. The ICBC’s collective agreement is an anachronism. Nowhere is this more evident than in information technology roles, complete with bygone titles out touch with the marketplace. Management would like to address this, but would inevitably open the door to broader wage increases across all positions. The result is that to fill skilled positions, managers have to hire contractors at a premium, sometimes for consecutive years. ICBC could be an industry leader in combatting fraud. It has 100% of the vehicle registrations, compulsory basic insurance for the entire vehicle population, and driver’s licensing data. Insurers in the United States have a small sliver of this data, making the triangulations necessary to discover fraud difficult. The corporation should be able to use this mountain of information to its advantage, and it has made clumsy pushes in the past – but they were never sustained nor effective. It all results in increasing costs to ICBC, and increased insurance costs to BC motorists. At the corporation’s highest level, I understand the calculus. It’s easier to raise rates for motorists than to super-energize a trading stakeholder by jeopardizing a payday. Motorists have no alternative, and at election time split over other issues. If there’s any doubt, ICBC will deploy a communications strategy to coincide with rate increase applications to the BC Utilities Commission. You will recall them: the costliness of air bags or new and exotic materials used in vehicles have increased total losses; the stock portfolio underperformed; distracted driving; fraud, weather events – these are the reasons your rates are increasing. The message is the same: it’s not anything the corporation can reasonably control. But the reality is these are things common to all insurers. New vehicles are more costly to repair. They are also safer, not just with airbags but with collision warning and prevention systems; these things pay for themselves. The stock market also rises. BC doesn’t have massive flood plains or hailstorms like other insurance jurisdictions. Graduated licensing has worked, and the new LED lighting spearheaded by the province will not just reduce energy costs, but save maybe 12 pedestrian lives and countless injuries at intersections each year. All things being equal, millions will be saved. Meanwhile, the marketplace and consumer expectations continue to change. New technologies like driverless cars or ridesharing services like Uber and Lyft will be put out of mind by ICBC until their inevitability can no longer be denied, and capital investments common to other businesses will be deferred until unavoidable. Products involving “telematics” (onboard recorders of driving habits) will be overlooked. The repair paradigm is also shifting. Auto manufacturers are taking control of the repair process by making repair information and tools proprietary. Sometimes they require technicians to be certified, to put more money in the pockets of manufacturers and dealers. For companies with a big market share like Ford and General Motors, maybe this would be manageable. But there are 16 major brands of auto manufacturers; many shops will not have the wherewithal to satisfy each one. Average repair costs will increase, and with that, total losses will also increase. Fewer repairs will cause shops to lobby for further rate increases. On the personal injury front, a compensation culture has taken root. Claimants seek legal counsel more frequently than ever, and when they do, lawyers want to be paid. That’s not easily knocked down. Similarly, in the past ICBC has avoided paying for marijuana prescribed by doctors following an accident. This seems untenable, and inevitably it will be on the hook for maybe $30 million annually. Alternatively, we can consider the reasons why ICBC exists; its current and future goals, and how these goals can be better achieved. The provincial government seems to have a cabinet minister capable of change, and even ICBC’s loyalist proponents are signaling their willingness to compromise. That’s not an opportunity to be missed. One option is that ICBC becomes smaller by severing off its products department into a standalone company. Let’s call this ICBC. The remainder would become a new independent company, free to expand product offering and into other provinces, and adapt its business practices to meet consumer expectations. It would make business decisions without regard to political repercussions. It would become something like a financial TELUS — a national company based on the west coast. This approach would see ICBC define the content of insurance policies and regulate the business rules that governed the costs of offering it consumers. New drivers would continue to have the opportunity to prove they were safe, which was a cornerstone of the 1973 policy. The new company would sell high-quality standardized policies determined by ICBC, but these same products would be sold by other insurers too, who would be free to compete. These insurers would also manage claims severity, claims losses, and operational costs. This is a nuanced way forward, and that’s probably its undoing. Politics is properly adversarial, and it promotes uncompromising and dialectic approaches. But maybe now, nestled between continuing to sandbag motorists with double-digit rate increases and privatization (and possibly seeing good-paying financial industry jobs eventually relocated to Toronto), we can find another way – and provide a blueprint for future public policy challenges. This dumpster fire needs to be extinguished, not simply recessed. Charlie Grahn is a past member of the Society of Collision Repair Specialists and Auto Body Parts Association. From 2003 until 2010 he advised insurers and manufacturers how to how to improve the distribution of collision parts. 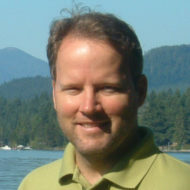 He continues to work in purchasing/supply chain in Vancouver, and teaches the same subjects part-time at Langara College.